Some samples of covers on CDs with compositions by Artur Schnabel. String Quartet No. 1; Notturno. (§) Paul Zukofsky has devoted more time and effort to Artur Schnabel’s music than any musician we know of. His reputation as a premier Schnabel interpreter and scholar is firmly established. The most complete discography of recordings played by Artur Schnabel from the very early piano rolls has been assembled by David Bloesch(*). 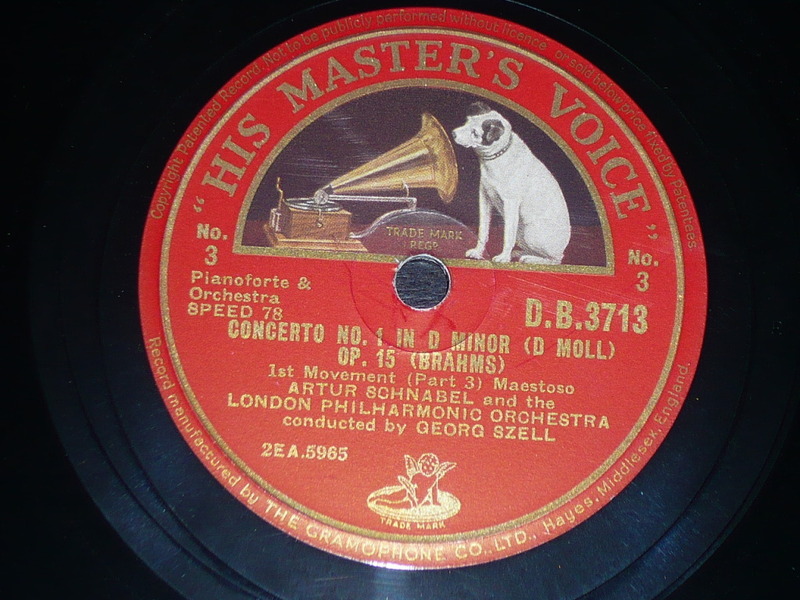 This discography also covers many remastered issues of 78 RPM disks issued as LPs and CDs. The Schnabel Music Foundation is very grateful for the permission to reproduce this discography here. 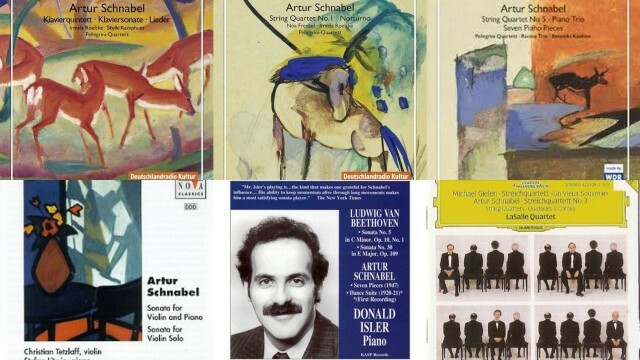 Click here to view the David Bloesch discography of Artur Schnabel Recordings. ‘Artur Schnabel: A Discography,’ by David Bloesch, first appeared in the ARSC Journal (of the Association for Recorded Sound Collections), 1986;18(1-3):33-143. and is reprinted with the permission of editor of the ARSC Journal. For information about ARSC: www.ARSC-audio.org.